Ever since they were young, Grace and Rick Knelsen felt this burning passion to visit the Land of Israel. They were both raised in Christian homes and studied the Bible from childhood. They loved hearing the stories of Abraham, Isaac and Jacob and of the Children of Israel. They both dreamed about coming to see the land that was promised to these ancient Biblical heroes. Rick and Grace never thought that their lives would be different or extraordinary in any way. They just fell in love, got married and started their wonderful family in Winnipeg, Canada. Grace was a family counselor and Rick was a teacher. When asked about their children Grace laughs and shares that they have two children but only one is homemade. “It was always our plan to have one child of our own and then adopt a second one,” Grace explains. Their hearts are so big and their generosity so boundless, that they wanted to save a child and make him their own. Grace and Rick fell in love with Judea and Samaria. In 1982, their desire to change the world for the better, one step at a time, brought them to Africa, and for 3 ½ years they volunteered as teachers for poor children growing up in this difficult and complicated continent. It was just the beginning of their journey and they felt blessed to be able to help those less fortunate than them. On their way back home to Canada, Rick and Grace made a quick stop in Israel. It was the perfect opportunity for them to realize their long-held dream to visit the Holy Land. They were so excited at the start, but by the end, they were sorely disappointed. “The Land of Israel has so much history– it’s all in the Bible,” Rick explains. “I wanted to see the land that was promised to the sons of Israel but all I saw were remnants of churches and cathedrals.” Although the visit did not live up to their expectations, once the couple got back home they could not give up on the idea of going back and giving it another try. They felt that they had missed something and were eager to find it. Over the years they became active with Bridges for Peace, volunteering for Winnipeg activities and supporting Israel from afar. At one of the organization’s events they met a couple who shared their own personal experience of visiting Israel, volunteering with the people and working the land. As Rick and Grace listened to the couple’s story, something was ignited in their hearts. It seemed like a dream come true. There and then they decided that they had to return to Israel but this time they would search for the Land they had dreamed of for so many years. For thirty years they had kept that dream alive, never losing hope that one day it would be fulfilled. 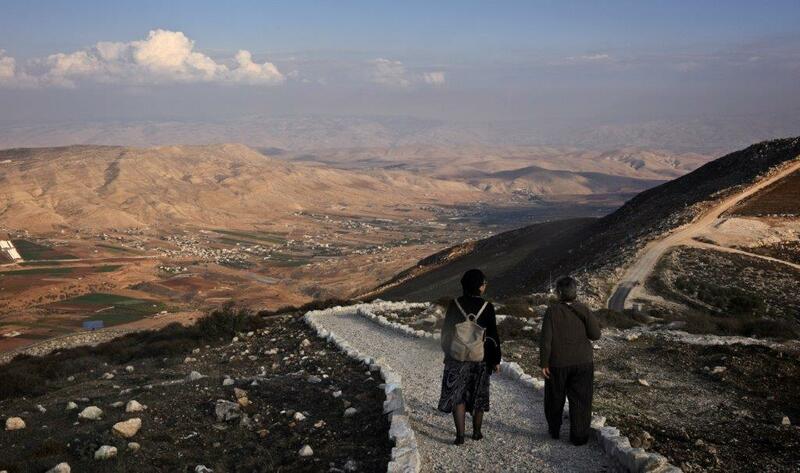 Just a few weeks ago Sondra Baras brought the Knelsens to the Oak of Moreh where God promised the land to Abraham. Grace and Rick were already in their late sixties when they finally returned to Israel but this time for three months. They toured the country, visiting sites and meeting the people of the land. Being the amazing people that they are, the Knelsens spent time in Carmiel, helping new immigrants who had just moved to Israel. “It was an amazing experience and it was exactly what we were looking for,” Grace shares, remembering the experience with such joy. It was that trip that bound them irrevocably to the Land that had been so close to their hearts for so long. Over the years Rick and Grace returned to Israel more than seven times. They would return as tour leaders as well as on their own. 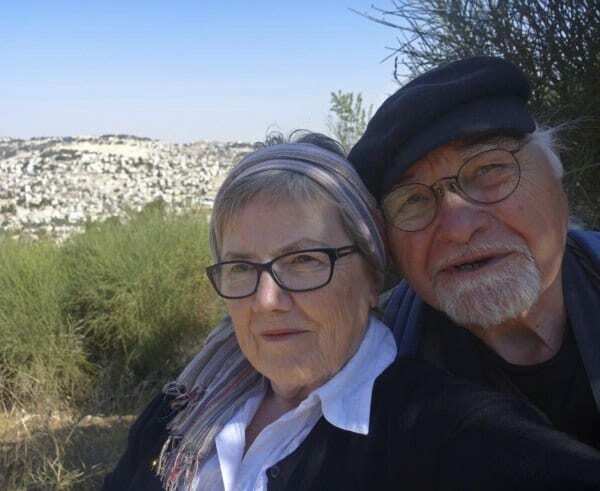 When they celebrated their 50th wedding anniversary, they gave themselves the gift that meant most to them – an eight-week visit in Israel! For Grace and Rick, every opportunity to be in Israel is a gift from God. The Knelsens are true friends of Judea and Samaria. They have brought tour groups to visit Judea and Samaria and they host events for CFOIC Heartland in Canada. And they are also active, standing publicly with Israel against hostile media coverage and educating Canadians about the real Israel. When asked about his favorite spot in Israel, the place where he finally overcame his disappointment from their first visit, Rick shares openly that it all came together on one hilltop in Samaria. In 2013, they were visiting Israel and had arranged a guided tour of Shiloh. Sondra then picked them up from that wonderful Biblical site and proceeded to show them the most amazing site in all of Samaria – the Three Seas Outlook. As she often does with Christian visitors, Sondra shared a Biblical teaching that conveyed the deep biblical significance of the area (Mt. Gerizim, Mt. Ebal, the Oak of Moreh and the Jordan Valley) connecting it to the modern realities of the settlement movement today. They were hooked!